6 April 2017, Innovation Park UNIT.City, Kyiv – Innovations Development Platform - the agency on incubation and implementation of innovative projects in the field of defence technologies starts its work in Ukraine. 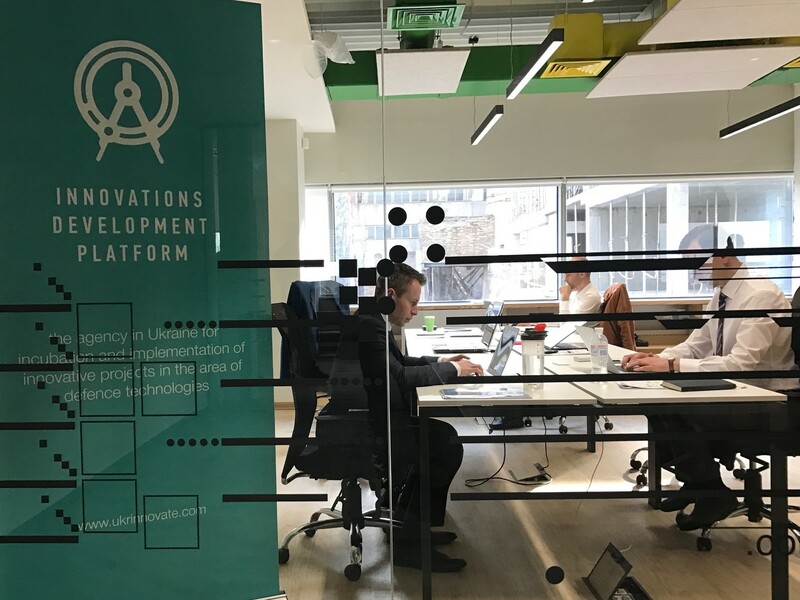 Platform’s team became one of the first residents of the Innovation Park UNIT.City which has been opened with the participation of Prime Minister of Ukraine Volodymyr Groysman. In this Park, a team of managers and analysts will work on the creation of an incubator for research and development of defence innovations, and later – an industrial park for their manufacture. Technology Companies’ Development Centre (TCDC) will become a Platform’s partner in these stages. The agency “Innovations Development Platform” has been organized to unite efforts of scattered teams of developers, experts and investors, give them an opportunity to develop innovations for the Ukrainian army and foreign partners systematically and on transparent commercial conditions. The Platform will become a site with all necessary infrastructure and expertise to select promising ideas of developers of Ukrainian institutions of higher education, research and development institutes, design bureaus and enterprises on a competitive basis. The Platform will involve investors in each selected project in order to launch into serial production the most urgent developments among those selected. All developers will have equal conditions and projects selection and development process will be covered on the Platform’s web-site and in mass media. In the near future, innovations that can be developed up to the stage of serial production and supplied for military service in less than two years will be of high priority. Selection of online applications on implementation of innovative defence projects is carried out through Agency’s web-site https://www.ukrinnovate.com/. State Foreign Trade Enterprises “Spetstechnoexport” supported by the State Concern “Ukroboronprom” and coordinated by experts of Kyiv-Mohyla Business School was an initiator and developer of Innovations Development Platform’s work concept in 2016. To ensure effective support of innovations - from an idea to industrial prototypes for serial production and supply for military service, a private and state partnership based on the model “Chief Scientist’s Office” (Israel) has been chosen as an appropriate organization format. Ukrainian and foreign investment foundations, arrangements with which are being finalized now, will finance work of the Agency’s Office.